As a parent, I'm glad to live in the Internet Age--particularly when my children ask me questions about the world that I can't sufficiently answer. And as a parent trying to raise bilingual and biliterate children, I'm grateful that technology provides a convenient way to supplement our language learning. We recently signed up for a free two-week trial of Storyplayr, a subscription site featuring hundreds of quality children's ebooks in French, and I was truly surprised by the richness of this site. If you're looking for more French books for your children, read on. Admittedly, I've never been a fan of ebooks. 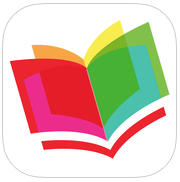 However, Storyplayr has over 350 ebooks in French for ages 3-8, and all of them are well-illustrated, colorful titles that load reasonably quickly. Many of these are strictly digital titles but you'll also find some familiar characters (such as Mimi Cracra) and classics (such as Les fables de La Fontaine). The books are well organized into categories by topic and age, so the site never feels overwhelming. There are even some bilingual books (mostly French/English but with a few French/German titles) and the folks at Storyplayr are constantly adding new selections. My favorite aspect of Storyplayr is that a fair amount of the ebooks have audio recordings made by subscribers and their children. Any subscriber, including you and your child, can record stories. This audio recording capability opens up so many opportunities for language use and play--not only can your child listen to stories aloud, he or she can record their own reading of the story and send this recording to anyone via email (regardless of whether the recipient has a Storyplayr subscription or not). As a non-native French speaker, I hesitated to record any audio readings myself, but then I learned that Storyplayr employees listen to each narration to verify its quality before making it available on the site. Now I look forward to recording stories and encouraging my daughter to do so as well because I don't have to worry that our non-native accent or pronunciation might water down the language quality. Truly, the audio recording option is a great feature to get children reading and talking in French! Storyplayr is currently available worldwide by monthly subscription for roughly $5.50/month (4,90€) or by annual subscription for $55 (49€). If you're in the U.S., you can purchase a Storyplayr subscription through Les Petits Livres at a discounted rate. I highly recommend that you sign up for the 14-day trial subscription because you will not be charged when the trial ends unless you decide to take the additional step of subscribing. Even after your trial period ends, you can peruse books and listen to several pages of each audio recording as well as the recordings you have made. Storyplayr is also accessible via an iPad app (free download; the 14-day trial will allow you access to stories on the app as well as online). This review was not solicited or sponsored by Storyplayr. All opinions are my own.